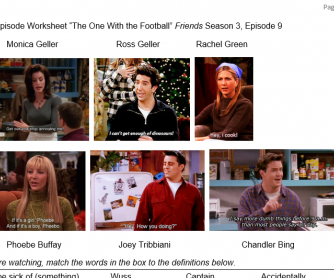 This is a worksheet based a full episode of the TV show, "Friends" (Season 3, Episode 9: The One With The Football). It includes matching activities to pre-teach relevant vocabulary and listening comprehension activities. It is an ideal worksheet to discuss the topic of Thanksgiving and the American/Canadian traditions that come with it (especially American football). 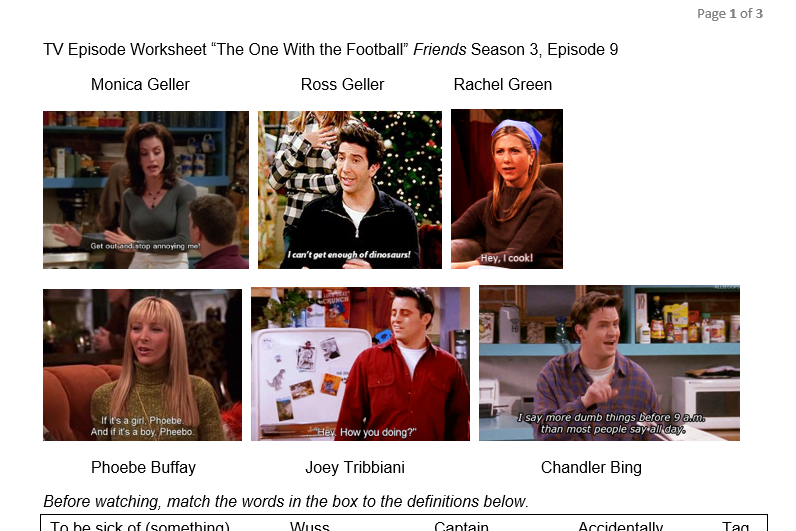 I do not have a link to the specific "Friends" episode because I usually show it to the class from Netflix (with English subtitles for lower levels).